Carolina Material Handling has recently completed a modular construction project for their client, Dalco Nonwovens, to assist them with finding solutions to their office space problems. 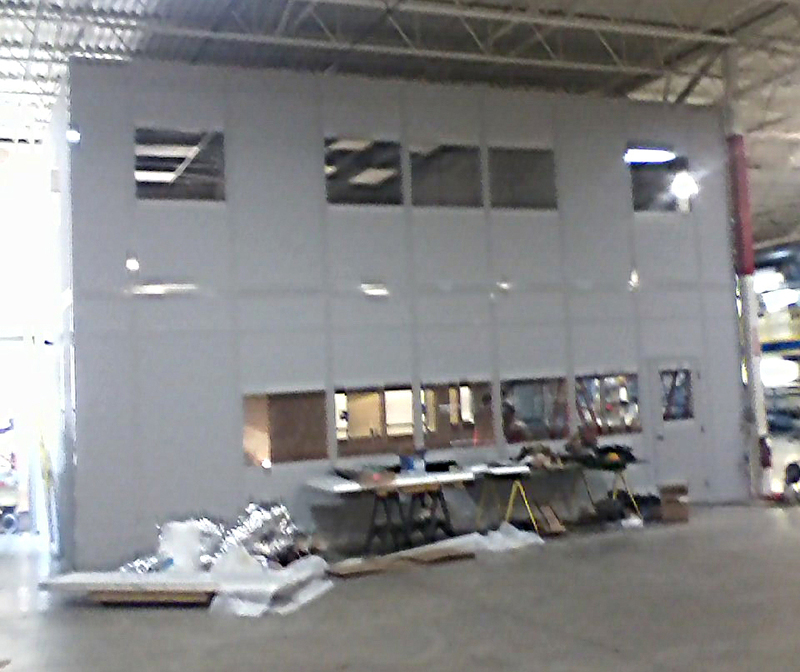 They installed high-quality modular products from Ebtech Industrial Building Solutions. Carolina Material Handling has recently completed a modular construction project for their client, Dalco Nonwovens of Conover, NC, to assist them with finding solutions to their office space problems. Carolina Material Handling provided Dalco with a high-quality, two-story in-plant office, made by Ebtech Industrial Building Solutions of Connellsville, Pennsylvania. The two-story modular solution enabled Dalco to have a bigger break room, two offices upstairs, a conference room, and a walkway down and outside. This modular structure added 1600 square feet of efficient office space to their location. Carolina Material Handling also provided Dalco with a single-story modular cleanroom to use for a laboratory and quality-control office for the quality-control manager. The cleanroom added 700 square feet of additional space. Sales engineer John Deiner worked closely with Dalco to find solutions to best fit their needs and to ensure that the project went smoothly. His team coordinated with contractors to schedule the installation of the ductwork, electrical, and related systems. Deiner believes that the flexibility during scheduling that the team exhibited in order to accommodate the client is what helps them to stand out from competitors in their field. Dalco had purchased modular buildings in the past from a competitor, but they approached Carolina Material Handling for this project because they were dissatisfied with the quality. "When we were sitting down in his office, we couldn't even hear each other talk. You could actually see out through the corners, out into the plant, where the corners had come apart a little bit," Deiner relates. "The quality was really bad, so we went in with Ebtech, which is a higher quality. We showed Dalco samples and brought in the Ebtech representative, and we were able to show them that we were offering better quality." 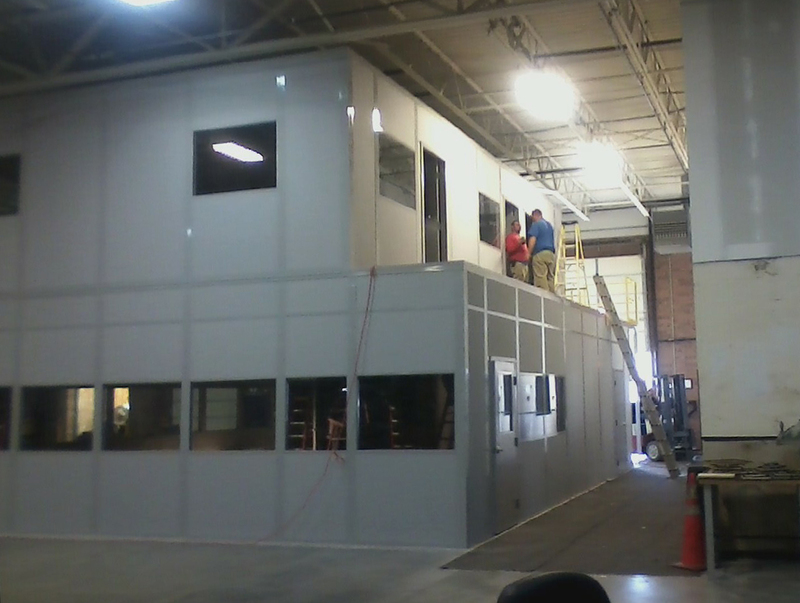 As part of this project, both modular buildings have sound control, a unique customization offered by Ebtech Industrial on its modular buildings. Both buildings were outfitted with thermal windows, rather than a less expensive flimsier window. Carolina Material Handling, Inc. has evolved from a few hand-trucks and a dream to a complete dealership with over 5,000 material handling products in stock; from one salesperson to a total of ten experienced material handling experts serving GA, NC, SC and VA; and from offering simple material handling solutions to complete engineered systems. Learn more about them at http://www.carolinamaterialhandling.com. Their GSA Schedule Contract number is GS-07F-0392X. Ebtech has been designing, manufacturing, installing and assembling custom modular building systems globally for over 15 years. They offer high-quality cleanrooms, mezzanines, in-plant offices, guard shacks, and more. Ebtech’s complete product line can be found on their website, http://ebtechindustrial.com. Their GSA Schedule contract number is GS-07F-0647W.